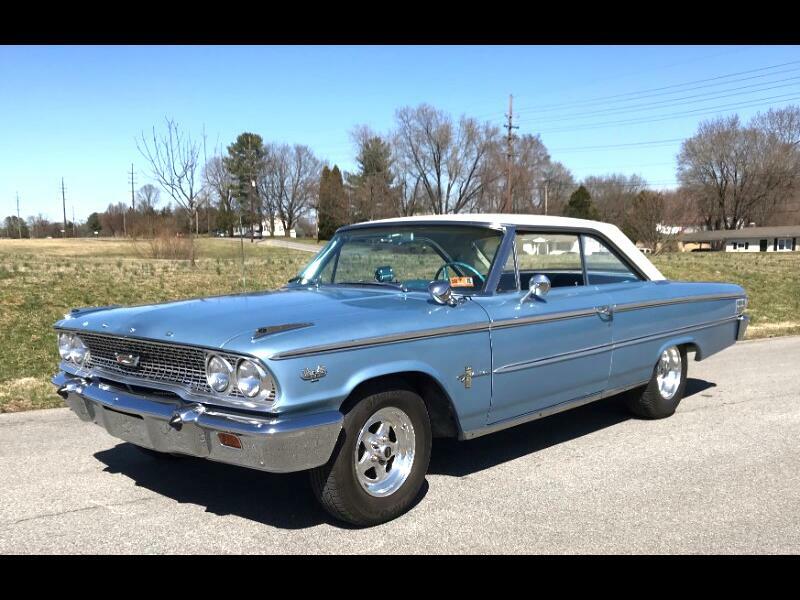 1963 1/2 Ford Galaxie 500 Fastback with freshly rebuilt original 390 cu in engine, and three speed manual transmission with overdrive. when rebuild was completed, a three deuce intake from 406 engine was added along with 406 exhaust manifolds. Picture enclosed. A solid good looking and running fastback in great condition throughout. Front disc brakes have been added along with a dual master cylinder. Also has air conditioning, front and rear Ford bumper guards, dual exhaust, (new) with flowmasters, and an optional spotlight.. Stainless is very nice on this one and bumpers have had high quality re-chrome. A little trivia, this car sold new in southwestern Virginia. I have purchased many classics and muscle cars from the 60's from the area before, from around Roanoke, Martinsville, Danville, Radford, etc. and they always had a spotlight added. I was the thing to do during that era.